Discussion in 'Ammo, Accessories, Etc.' started by Permanent37, Oct 24, 2018. 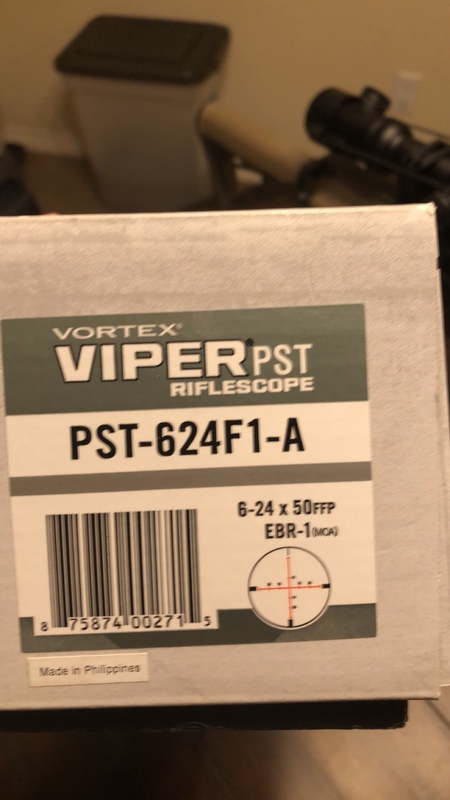 I have a Vortex Viper PST 6-24X50 FFP scope. 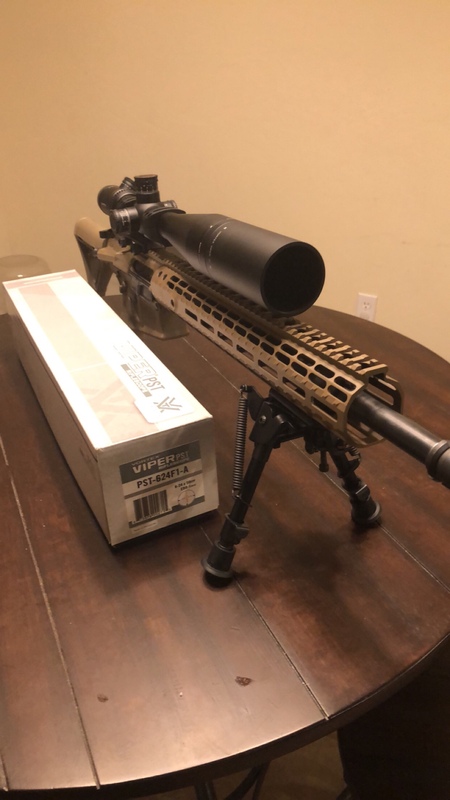 Comes with the box and everything you get from vortex including sunshade and scope cover. 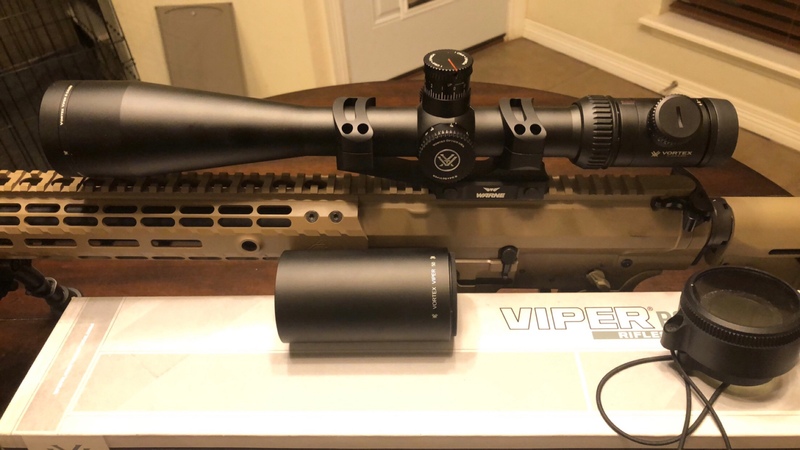 Great scope for long range or hunting. Asking $680 located in Moore. Subject says 6-24-50, add has a different scope. Which are you selling sir? Thank you sir. 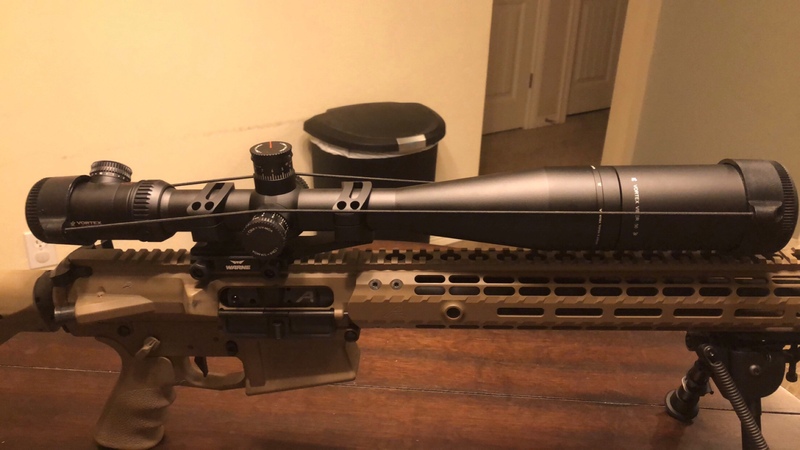 Heck of a good scope for hunting or precision. Thank you for clarifying. Just realized this was a PST, hell of a deal on it!